Your Acura vehicle is engineered to be enjoyed to the fullest extent long into the future. Every Acura model was meticulously crafted to provide you with the utmost athleticism, luxury and excitement at every turn, and if you want to ensure that it continues to perform in this manner, the only way to do so is through routine maintenance by a team of expert Acura technicians.Whether it’s routine maintenance or hands on repairs, our team of Acura technicians only use genuine Acura parts when servicing your vehicle, allowing you to enjoy your Acura vehicle at the highest level again in no time! 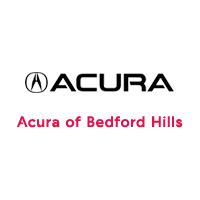 Acura of Bedford Hills’ service department provides world-class automotive maintenance for your car or SUV. Our techs are required to be qualified through the manufacturers’ programs on proper Acura maintenance and repair procedures. This amounts to hours of studying and training. Also, many of our team members have years of experience servicing older models. No one in the White Plains, New York area is more qualified to service your Acura than the OEM-trained and ASE Certified technicians at Acura of Bedford Hills’ service department. Additionally, Acura dealerships like ours believe an investment in many special tools unique to your vehicle are absolutely necessary – so you can be assured that out Acura techs have the right tools and information to properly service your vehicle. The client lounge here in Bedford Hills, New York has the best amenities and facilities for your visit. A clean, comfortable, and functional lounge is one of the many ways we like to add value to your experience. Scheduled maintenance keeps any new car running like a, um, well-oiled machine! Acuras are not different. In fact, the reliability our vehicles are so well known for is part of this process. When properly serviced by Acura of Bedford Hills, we can deliver on the promise you have believed in since purchasing your vehicle, and keep it running in prime condition. When your Acura requires attention our Factory-Trained staff will keep your vehicle performing at its best, using only genuine Acura brand parts. Our professionals are eager to address any of your service or maintenance needs. View our staff page to contact any one of our employees by email or phone. We have taken great efforts to keep our facilities as modern and up-to-date as possible, to service your Acura conveniently and efficiently. Bringing your Acura into our state of the art Service center ensures your vehicle is being serviced with only Original Acura Parts and Acura approved equipment. That is something only a dealership like ours can provide, and this may result in hundreds or thousands of dollars of savings to you in the long run. Why’s that? Many warranty coverage claims require documentation of service with an Acura dealership to fulfill. This is because the manufacturer can stand behind the quality of manufacture and workmanship in their parts and service facilities.